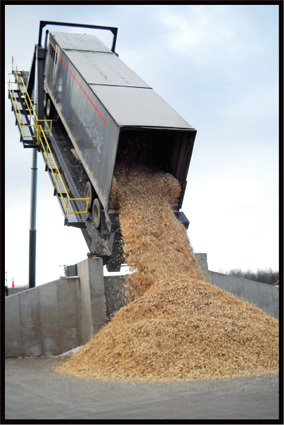 We have a production capacity of 90,000 tons of wood pellets per year at the Indeck Ladysmith BioFuel Center located near WI SR-27 and WI SR-8 in Ladysmith, Wisconsin. We use an improved manufacturing process that consistently yields the highest quality pellet, which is available for purchase in bulk or in bags. The Indeck Ladysmith BioFuel Center is located within one mile of major truck routes and is served by the Canadian National Railroad with an on-site rail spur.